For many companies, successfully managing complex FSMA requirements is arduous at best. With nearly 70% of companies polled in the 2017 Food Safety & Quality Operations Survey by SafetyChain and the Acheson Group falling under FSMA, it’s clear that this latest FDA reform will continue to impact the majority of food and beverage companies for the foreseeable future. The ability to stay competitive and perform well in audits therefore lies in implementing solutions that can support a robust FSMA food safety plan. Define an unlimited number of specifications, Preventive Controls/PRPs, CCPs, Standard Operating Procedures (SOP), Good Agricultural Practices, supplier requirements (including documents associated with FSMA’s Foreign Supplier Verification Program), and more. Electronically identify definitions by product/product groups and facility. Set times/due dates for al PRPs, SOPs, CCPs, etc. through automated task scheduling. Further define initial versus escalating alerts to further facilitate completion. Maintain all of the elements above – regardless of number of facilities or locations – via one centralized data repository with dashboard access for monitoring, trending, audits, and a real-time, comprehensive look at your entire operations. Not only does having all of your plans readily available via one convenient system aid in ensuring food safety; it also provides you the tools and data needed to support continuous improvement, including lowering operational costs and increasing your bottom-line results. Ensure all FSQA test results, inbound COAs, CAPA information, and additional records are accessible from a repository of complete, accurate, and up-to-the-moment data. Provide actionable insights through analytics to help you identify trends and track KPI performance so weaknesses can be readily pinpointed. Establish schedules and notifications for all Preventive Controls for complete automation. Analyze inbound COA information and data from internal FSQA tests against specifications in real time so non-conformances can be addressed at the earliest possible stage. Receive real-time alerts when a control is incomplete or FSQA test results deviate from specifications. Define all PRPs, CCPs, etc. in the system so that each component of the plan is documented, and ensure they are being completed when due through notifications from automated task scheduling capabilities. Electronically gather all related data and information for real-time assessment against notifications. Data can include information and test results from suppliers, internal and third-party labs, equipment, and even transportation. For example, tools like temperature probes can communicate results in real-time to your FSQA software solution for instant visibility. You can also monitor tolerance levels and quality metrics by item, line, location, shift, or attribute, including target weight, dimensions, and other factors. Capture data remotely on smart mobile devices to support teams in the fields, receiving docks, or any other point within your supply chain. Achieve validation through real-time analysis against specifications and Food Safety Plan parameters, as well as real-time alerts on deviations, deficiencies, and omissions. Because FSMA compliance will continue to be at the forefront of priorities for food and beverage companies, it’s important to be proactive in implementing a solution that will help you manage your facility’s Food Safety Plan accurately and efficiently. 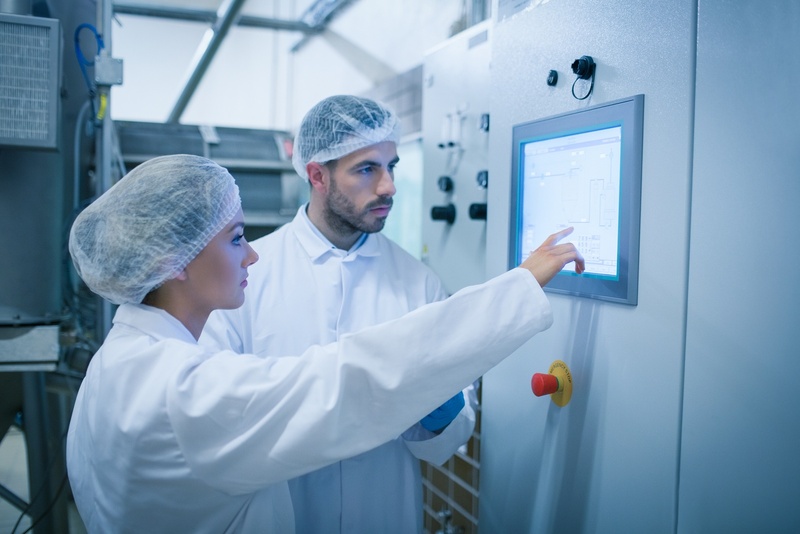 Deploying food safety technology is the best way to empower your food safety professionals and ensure your company takes a preventive approach not only to FSMA compliance, but to food safety and quality overall.